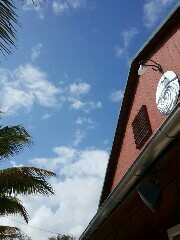 ​A big, big congrats to Delray Beach’s SaltWater Brewing for recently celebrating their 3 year anniversary! It’s a remarkable story to see how far they’ve come in that short amount of time, starting in their gorgeous Dade County Pine barn and building a product that is actually being distributed in multiple states. They celebrated this last weekend with their 3rd anniversary party, an all-day affair with a number of rare brews and treatments, plus some guest taps that I completely ignored because of those rare beers and treatments. 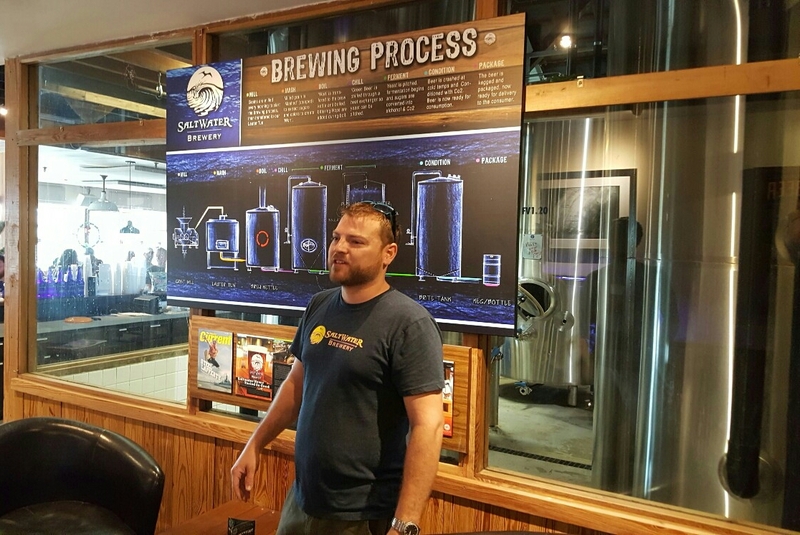 In the middle of it all, I was able to take some time to chat with Justin Rick, Saltwater’s new Head Brewer. He comes from Brooklyn Brewery after studying at UC Davis and brewing at other places such as Stone and Leinenkugel. 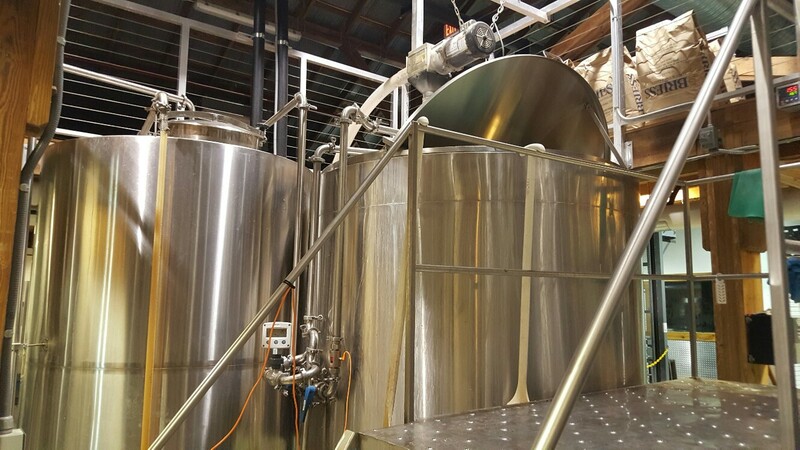 His main focus coming in has been making sure the recipes are tweaked to take the best advantage of some of SaltWater’s newest equipment, while maintaining the quality that has enabled them to grow the brewery as big as it has become. Don’t worry, former brewmaster and co-founder Dustin Jeffers is still there, focusing on Operations full-time (still brewing, too). 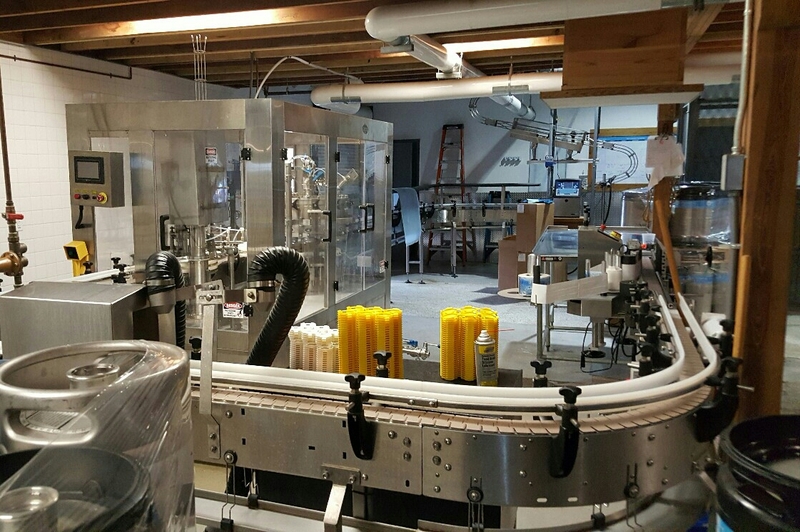 Justin even took my friends and I to the back to see SaltWater’s nice canning line, complete with a new label machine that will enable them to create smaller runs of specialty beers. 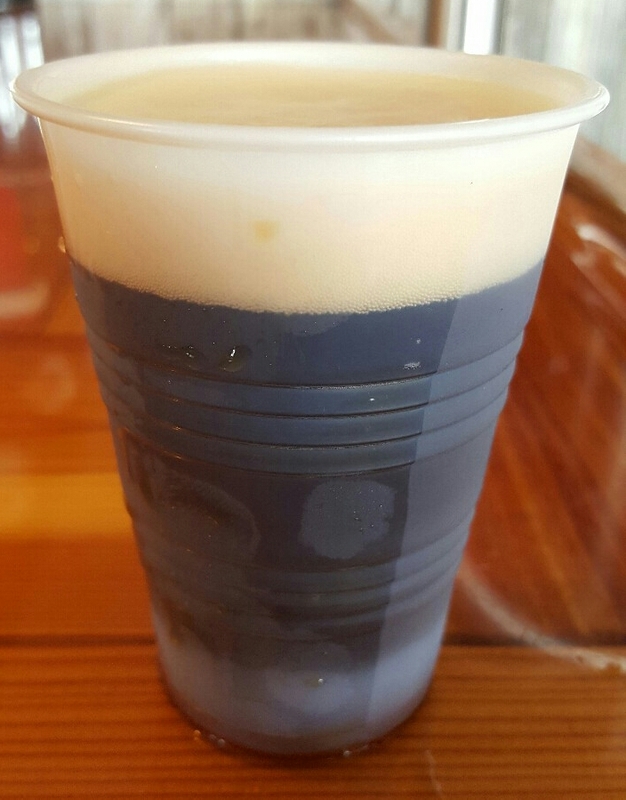 Sea Katz (Stout, 6%) – The name comes from Delray Beach Deputy Vice Mayor Mitch Katz, a good friend of the brewery. 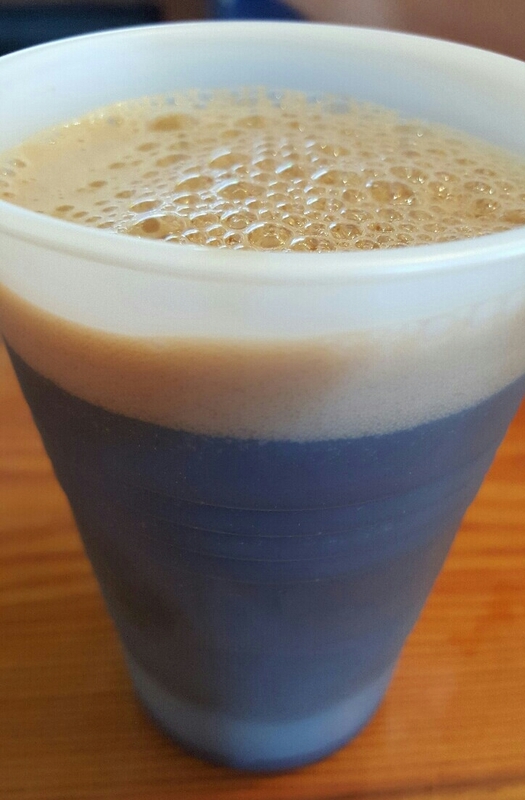 It’s saltwater’s absolutely wonderful Sea Cow milk stout aged on coffee and Dragon peppers. Let me tell you, those peppers are strong and noticeable, even above the dark malt. Good, but not for the timid. 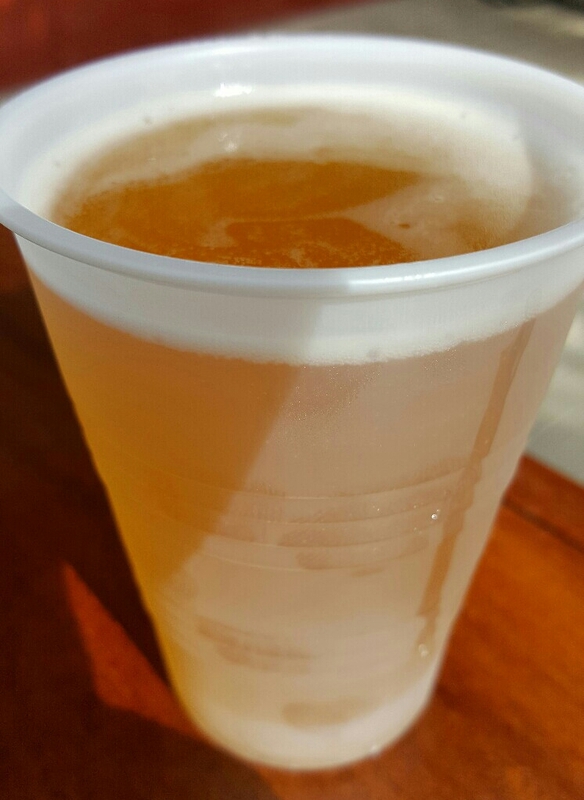 Mango Tides 7 (IPA, 7% ABV) – IPA with Mango. 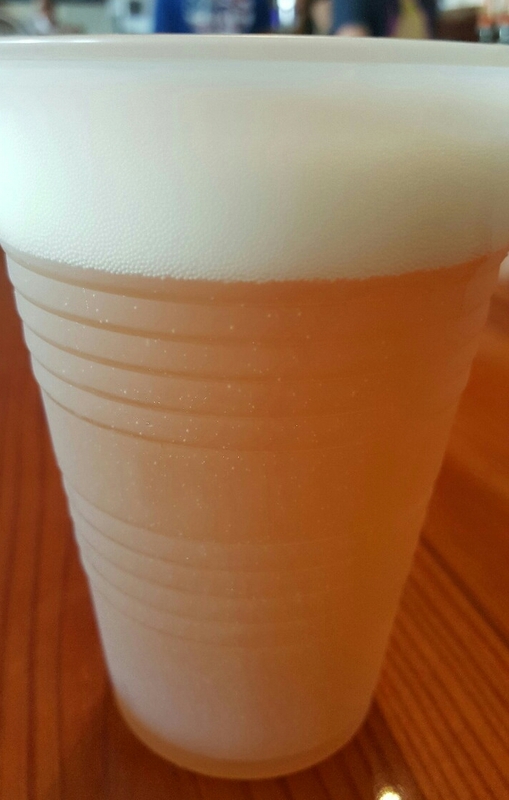 Refreshingly sweet and incredibly fruity, the mango flavor is really strong and makes the beer incredibly approachable. Monks Vacation (Winter Ale, 8.5% ABV, 34 IBU) – Cellared for one year, aged on cranberries, spruce, nutmeg, ginger, and orange peel. As much as I was expecting drinking a Christmas tree, it’s the fruits that tend to be most noticeable in this deep and chewy brew. Very wintery, and would be great on a cold, blustery day. (Don’t wait up for one, though). Watermelon Locale (Golden Ale, 3.7% ABV) – Saltwater’s newest can release Locale, but aged on watermelon. Interestingly enough, this isn’t an overly sweet beer. Sure, the watermelon is apparent, but it’s a light touch, not like drinking a Jolly Rancher. 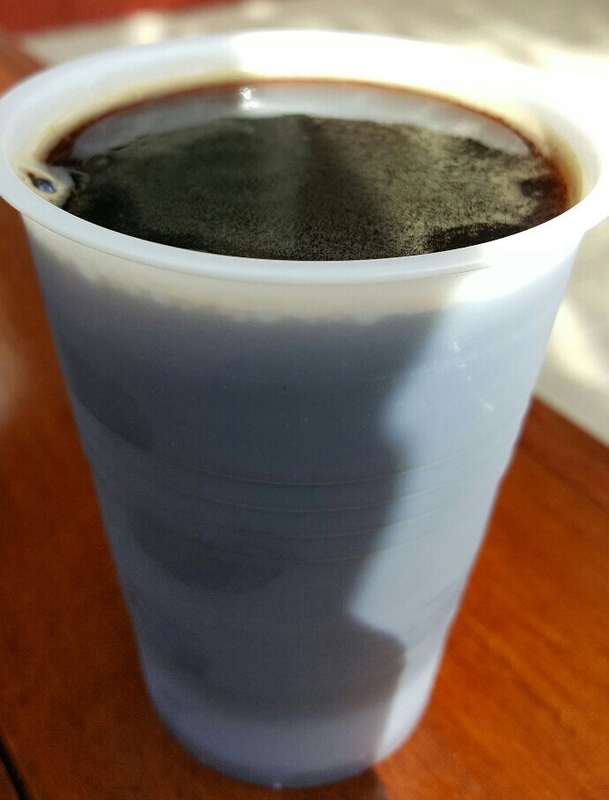 Peanut Butter Cookie (Stout, 6% ABV) – Another treatment of Sea Cow, this time aged on peanuts and coconut. Once again, a fantastic treatment of a fantastic beer, with a big peanut flavor that really goes well with the big, bready malts. I didn’t stay the entire time, although I would have loved to. Instead, it was nice to get back there again, meet their new staff and see the new toys. I am sure I’ll be going back soon.